The Harris Team has officially blended into a single entity. Warren Paul Harris and Karen Harris have officially joined forces. The impetus for this partnership was born of necessity in applying for art shows. It’s very simply easier for us to transport and set up a collection of our works than to do two separate booths at art events. So Voila! as they say – HarrisArt sprang into being. The new website HarrisArtDallas.com was completed last week and showcases art / services by Warren Paul and Karen Harris of Dallas Texas. 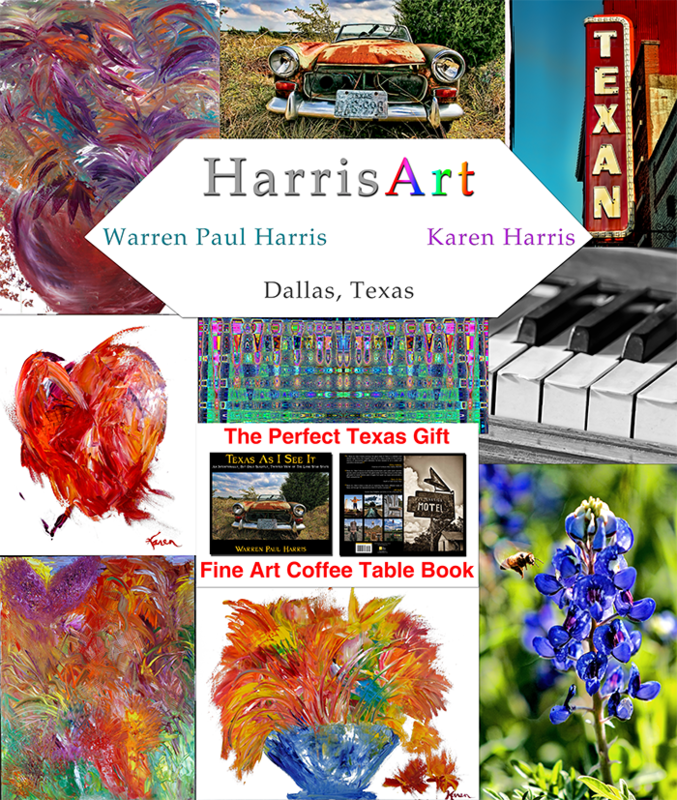 HarrisArt is an aggregate of our collective creative products, which includes abstract art, digital art, photography, Texas As I See It (Warren’s coffee table book), note cards, greeting cards, reproductions, original oil paintings and metal art. The new site features an interactive calendar on the Events page so you can easily see where we will be in upcoming months. The calendar covers art shows, our studio open house events, book signings and presentations. It is a public Google calendar, so if you use Google calendar too, you can sync our events to yours. Karen and Warren each have separate Redbubble fulfillment sites. Both styles are available in posters, wall art, apparel, mugs, smart phone cases, home decor and much, much more. We even produced the backdrop for our shows with Redbubble. We put together the graphic on a large scale and ordered it in a tapestry. The quality is excellent. Sharp, vibrant, great saturation and with an overall nice feel. We were very impressed. 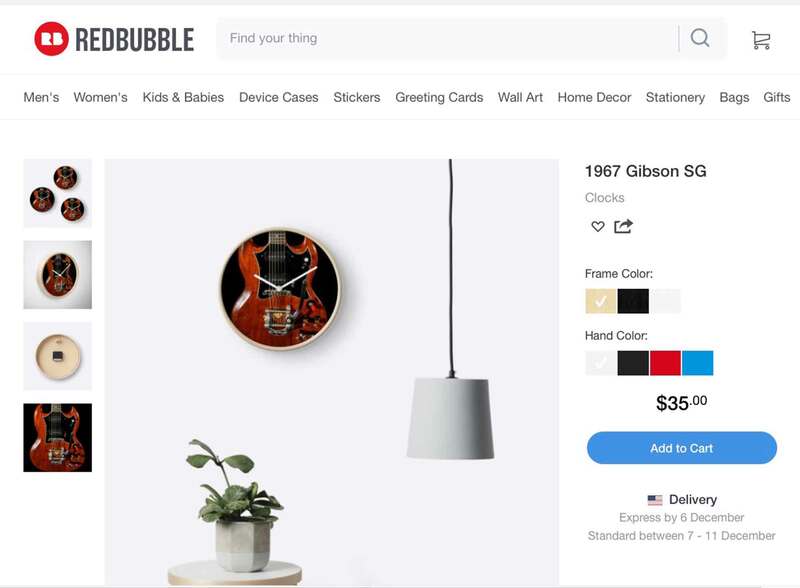 Just today we received notification someone ordered this clock on Redbubble. This is a photo of one of Warren’s guitars. You too can have this (or similar) item(s). Check out HarrisArt.com and let us know what you think!